Bring the carnival into your kitchen and enjoy cotton candy in any flavor you want, any time you want. 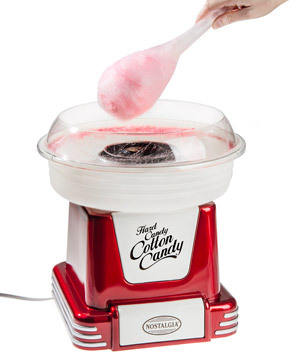 The Hard Candy Cotton Candy Maker transforms your favorite hard candy into deliciously fluffy cotton candy! The easy-to-use maker just needs two pieces of candy and a couple of minutes to spin a batch of the nostalgic sugary snack. Because there’s no other ingredients, your creation will have the authentic flavor of the candy you added with a light, airy texture. 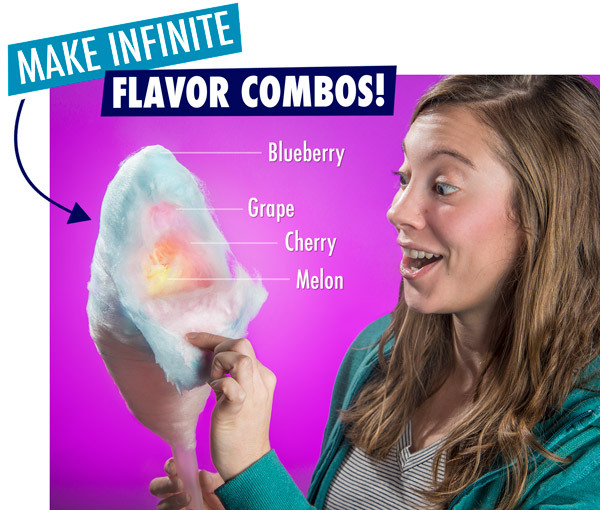 Experiment with your favorite candies to create cotton candy flavors you can’t find at the midway. Warning: This product is designed for US 110/120V outlets only! The Hard Candy Cotton Candy Maker quickly turns hard confections into soft sweetness that melts in your mouth. 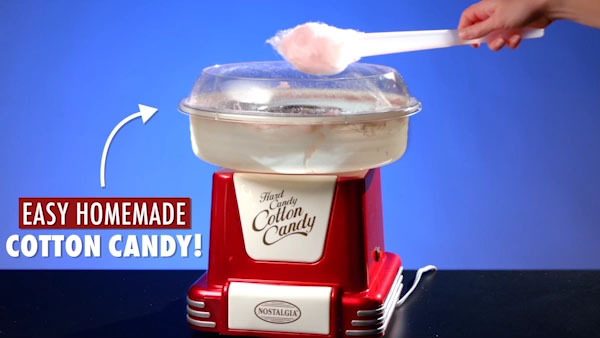 After warming up for a few minutes, the maker will start spinning cotton candy seconds after you add your candy. The heated extractor head melts down your hard candy and spins it into fine strands. The strands appear over the bowl like webbing which you collect with the included plastic cones. 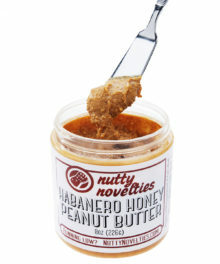 Each batch only takes a couple minutes to make, so you can soon enjoy the soft, airy snack you remember from childhood. It’s a lot faster than going to the fair. Sugar-free cotton candy sounds like an oxymoron, but the Hard Candy Cotton Candy Maker makes it a reality. 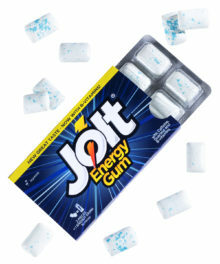 In addition to working with a wide range of popular hard candies, the maker can also use sugar-free candy to produce a more tooth-friendly cotton candy. If you’re a cotton candy purist, you can replace the hard candy with traditional flossing sugar. However you make it, you’ll still end up with a deliciously distinctive snack. Let your sweet tooth be your guide. With the ability to use virtually any hard candy, the Hard Candy Cotton Candy Maker opens up a world of flavor possibilities. Experiment with cotton candy flavors you’ve never seen like peppermint, root beer, and butterscotch. You can combine flavors by using two different candies in a batch and a multitude of different candies per cone. Whether you’re in the mood for something fiery or want to create a cotton candy breakfast buffet, you’ll be amazed how well your favorite flavors come through in the final product. More flavors than just pink and blue. 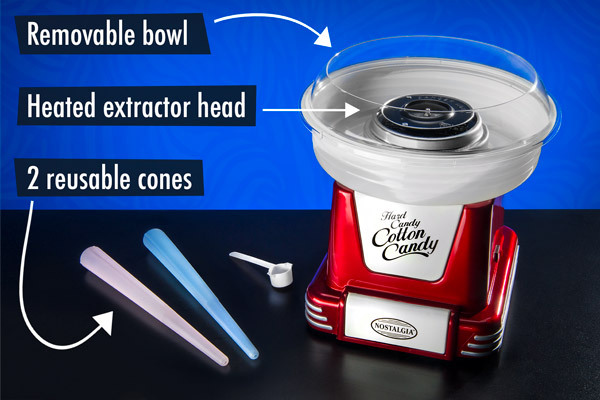 The Hard Cotton Candy Maker comes with two reusable cotton candy cones, a sugar scoop, an extractor head, a clear plastic rim guard, and a plastic bowl. The extractor head, rim, and bowl are removable for easy cleaning. 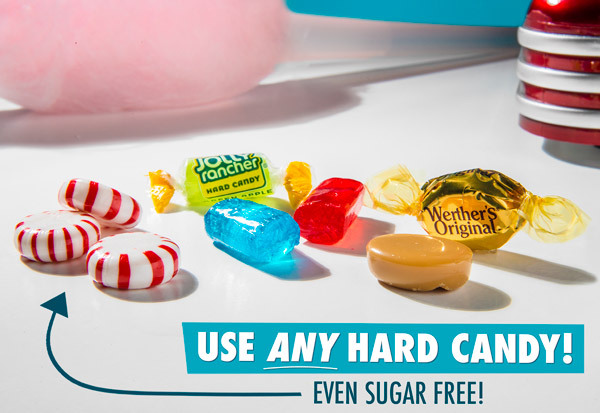 All you need is two pieces of hard candy, and you’re ready to start making your own retro snack! Get the carnival without the carneys. 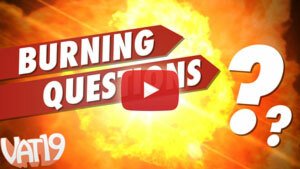 Jon and Joey, members of the Vat19 video team, take a first look at this cotton candy maker. 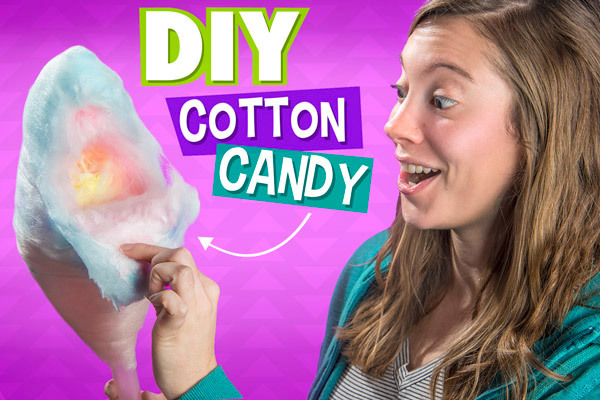 Jon and Joey take a first look at the DIY cotton candy maker. Question: Can I use any hard candy? Answer: Not quite. The Hard Candy Cotton Candy Maker works great with solid hard candies like Jolly Ranchers and LifeSavers. 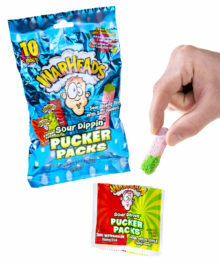 You can also break off pieces of larger hard candies like lollipops and candy canes. 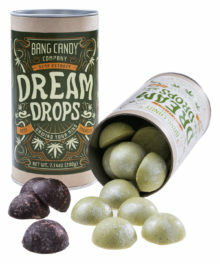 It doesn’t work with ball-shaped candies, candies with hard sugar shells, gummy or chewy candies, sugar pressed candies, or instant drink mix packets. Question: Will it work with the Toe of Satan lollipop? Answer: Why yes it will! Question: How much does it make? Answer: A single batch (two pieces of candy) makes a snack-sized serving. The picture at the top of the web page took about three batches. Keep in mind that once the extractor head is warmed up, you can quickly make multiple batches.